Here are some familiar shapes in unfamiliar locations. This emission nebula on the left is famous partly because it resembles Earth’s continent of North America. 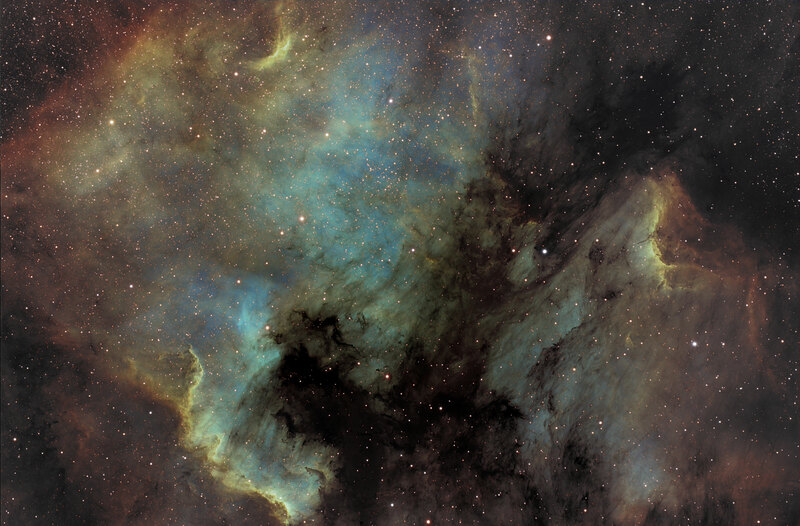 To the right of the North America Nebula, cataloged as NGC 7000, is a less luminous nebula that resembles a pelican dubbed the Pelican Nebula. 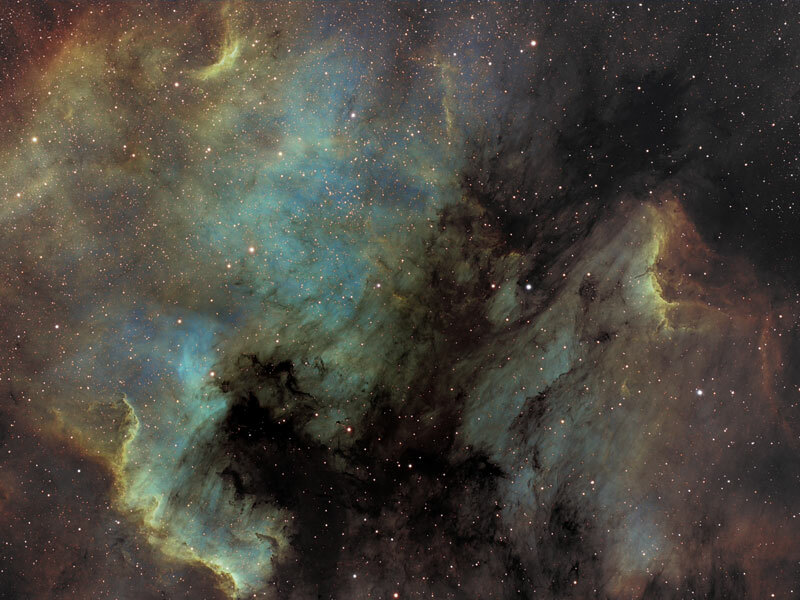 The two emission nebula measure about 50 light-years across, are located about 1500 light-years away, and are separated by a dark absorption cloud. This spectacular image captures, in false color, the nebulas, bright ionization fronts, and fine details of the dark dust. The nebulae can be seen with binoculars from a dark location. Look for a small nebular patch north-east of bright star Deneb in the constellation of Cygnus. It is still unknown which star or stars ionize the red-glowing hydrogen gas.